 Stroke of Genius is Waukesha County’s trending uptown Paint and Wine Studio, located in the heart of Historic Downtown Waukesha. 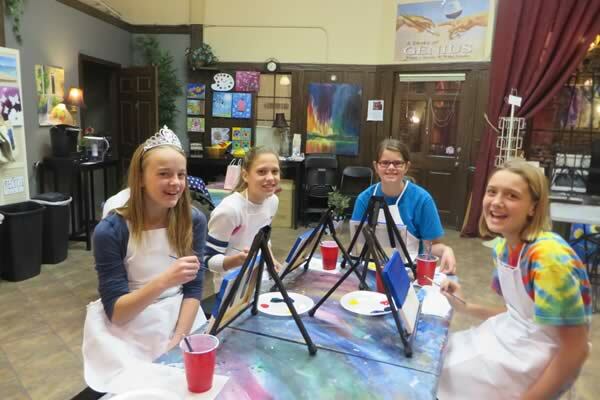 Here you can have fun, a glass of wine or soda and enjoy being with friends in a creative, social setting. 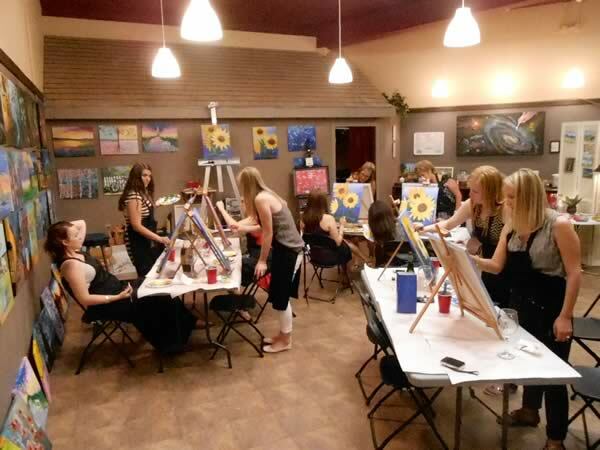 Whether you are looking to celebrate a special event, date night, a girls night out, a bachelorette party, birthday party, or team building, we offer a relaxing, fun painting experience where creativity is encouraged, and art is therapeutic fun! Come have a unique night out with your friends. Our goal is that you look like a genius, With our step by step instruction anyone can do it! 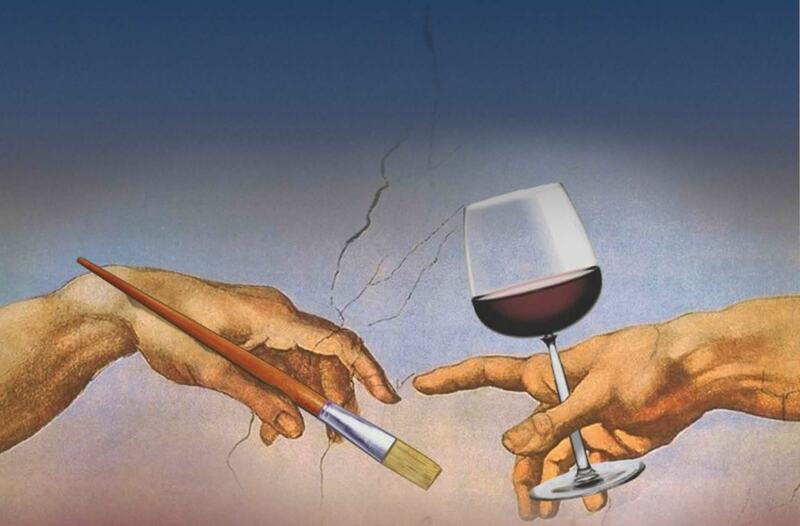 Our artist demonstrates each painting so that even if you “can’t draw a stick man”, you can do this. We promise. We are centrally located in Historic downtown Waukesha, and are 20 miles or less from Milwaukee, Germantown, Colgate, Sussex, Oconomowoc, Mukwonago, Muskego, Hales Corners, West Allis, Wauwatosa and South Milwaukee and Bayview. And we are even closer to Pewaukee, Wales, Delafield, Dousman, Genesee, Muskego, and Mukwonago! 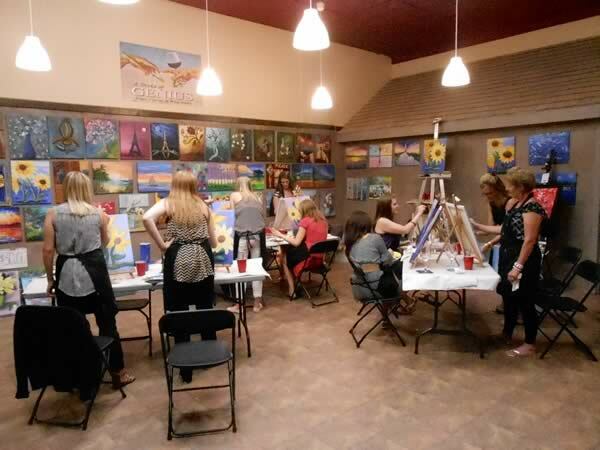 Choose to host a private party, go to a public party or suggest a painting for your small group to be scheduled as a public party (semi-private). Want to host a Private party? Choose your painting, date, time and group size. Want to organize a unique corporate event, team building or fundraiser? Want to come as a group but you have less than 8-10 people in your party? 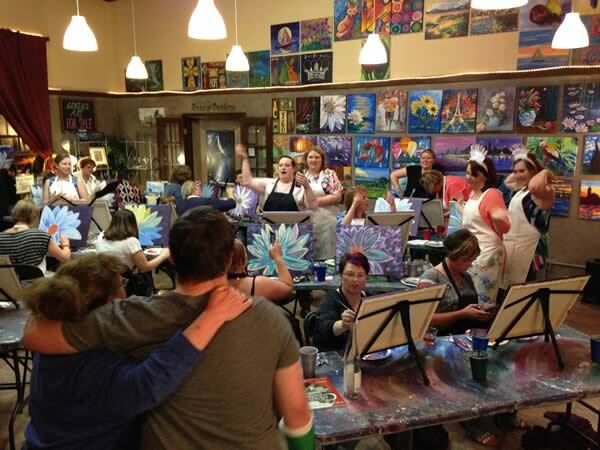 Stroke of Genius is an art studio that hosts both private and public events where inexperienced painters come in, relax and we walk through a painting together. Studio time is up to 3 hours with enough time to mingle and have a party during breaks. Our artist demonstrates each painting in a step by step process so that even if you “can’t draw a stick man”, you can do this. We promise. Come and have fun by yourself or with a friend on a public gallery night. 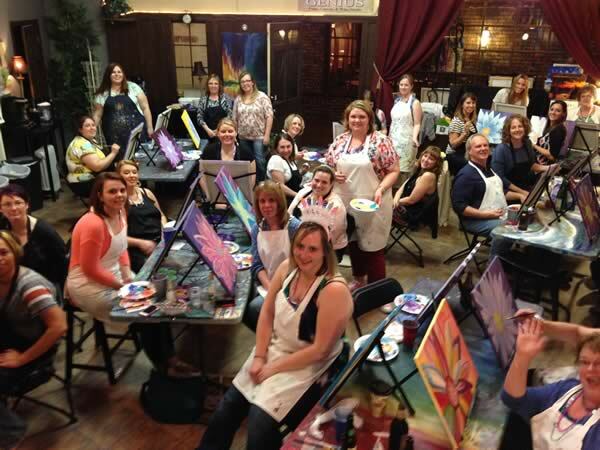 Gather up your friends or co-workers and come in as a group or private party. Watch our social media pages and website for special events and offers. With easy step-by-step instructions from a professional artist, anyone can do it! Join us for a unique night of fun in a creative & encouraging environment!